Motivate employees in a brand new way with the Magnetic Employee of the Month Program Basic. 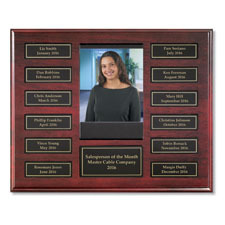 This traditional employee of the month program features rich, impressive mahogany but comes with a twist. 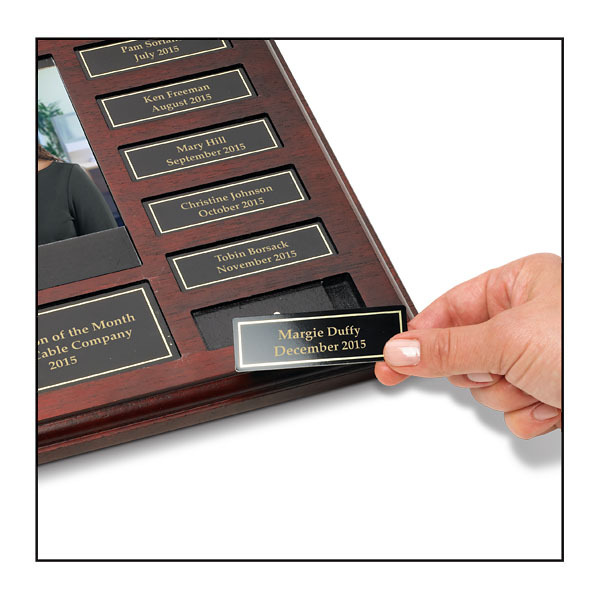 Instead of screws or messy glue, monthly honorees’ names pop on instantly with magnetic plates. Annal plaque size: 13" x 10½"